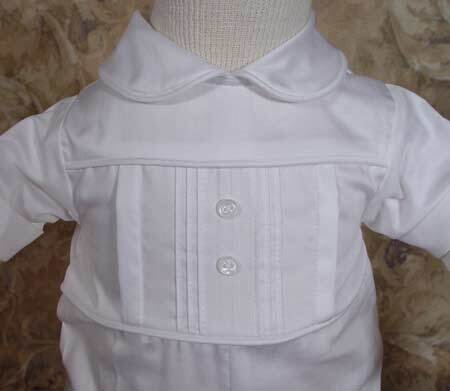 Cotton Sateen short sleeve Christening coverall with pleated and pintucked front. 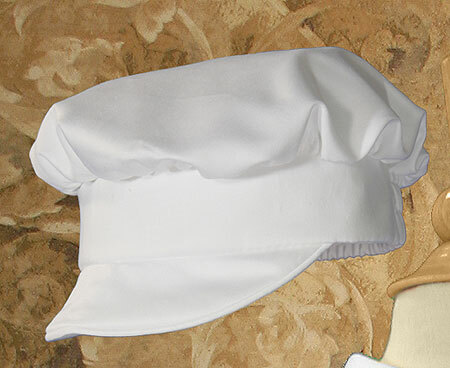 Includes matching hat. 100% Cotton. Hand Wash. Shipped with elegant padded hanger and zippered vinyl bag. Heirloom Preservation Bag recommended for long-term storage.